Finding the Best Packers and Movers in Jaipur is not an easy task. It requires a lot of research to get the list of them based on their price, availability, and reliability. There are a lot of options available in the market for the Packers and Movers in Jaipur to choose from and selecting one the best in them consumes time or even days or a week. Depending on your needs and affordability, decision making is very crucial because we need to check every aspect of it like the price they charge for their Packers and Movers Services in Jaipur, materials they are using for packing and moving, reviews given by the customers for that particular service provider and much more. Before searching for the list of packers and movers, you first need to identify your requirements so that you can decide your budget and everything else that comes after it. You can know your requirements by looking at what type of shifting you want. Whether it is a house relocation or office relocation, bike or car transportation, commercial transportation, and various others. After knowing your requirements, you can then set your budget accordingly. You know how to do this, right! If not, here’s the fair idea. At first, check how many goods you have and how much will they weigh and what type of transport it will require. Secondly, on which floor your new place belongs i.e. ground floor, 1st floor or the other. The higher your floor is, the higher the shifting cost will be. You got your budget now. Now it’s time to do some searching work. Search the Packers and Movers in your locality. And make a list of them. Just a tip, use local listing and top 10 google search results. This will save your time. Confirm their prices by either calling them or by filling their contact form or by just visiting their website and then note them. After creating a list, you can now compare the list based on their affordability and quality of services. As there are a good number of companies available that deals in this kind of services so you may find it difficult to find the perfect choice among them. Now what you are going to do is that you are going to compare them based on the price they charge and the quality of service they provide. You can use your budget here to set the target and your requirements to check whether they provide this kind of services or not. Do not choose the service provider without reading the reviews. It is very important to check what customers are saying about the choice you made. Reviews play an important role in deciding the best packers and movers as these are the words that directly come from the customers and not from the marketing of the company. This can give you a fair idea about the company or service provider about how they treat their customers and how they serve customers with the type of service they provide. 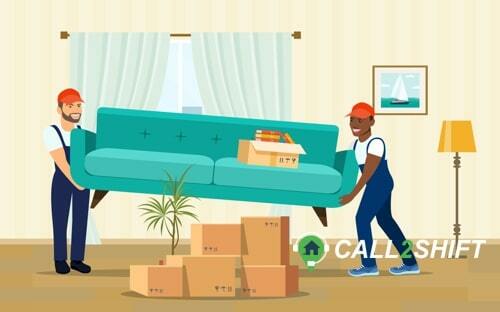 Instead of searching on different websites that offer price comparison of the packers and movers only, you can easily find the top-rated packers and movers at call2shift. This website offers the best list of the packers and movers service providers in Jaipur that are the most reliable, affordable and easy to connect. We made this list by looking at every aspect of what customer need to look for while searching and making choice for the packers and movers. Our list is made by marketing experts and tested by people in Jaipur. These are the same ways to get the professional Packers and Movers in Jodhpur. We acknowledge every feedback people gave for our services and we feel privileged when people give good reviews about the list and our unmatched services. We would love to hear from you as well.